Looking for a hotel in Bibury, then you've come to the right place! 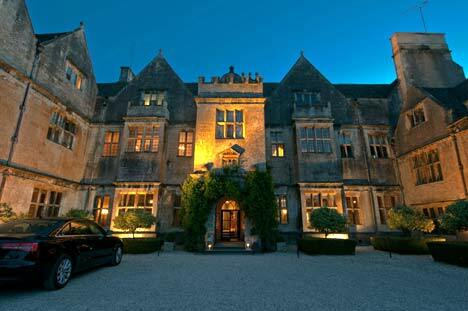 The Bibury Court Hotel and The Swan Hotel cater for those looking for hotel accommodation in Bibury. On this page of the Bibury web site, you will find details hotels in and around the Bibury area.. The Swan Hotel is welcoming, comfortable and indulgent - an enchanting riverside coaching inn at the heart of the picture postcard village of Bibury, a quintessential Cotswold destination. Bibury Court is a beautiful 18 bedroom Country House set in six acres of gardens and grounds and bounded by the River Coln. The House is situated on the edge of the village of Bibury, which William Morris described as "the most beautiful village in England." The Cirencester web site has all sorts of information about Cirencester and the surrounding area, including Bibury. The design, concept and content of this Bibury web site is the intellectual property of Commatic Limited unless otherwise stated. No part of this web site, including images, graphics and text, may be reproduced or stored, in any manner, without prior permission.